Game over. Let's start a new game. 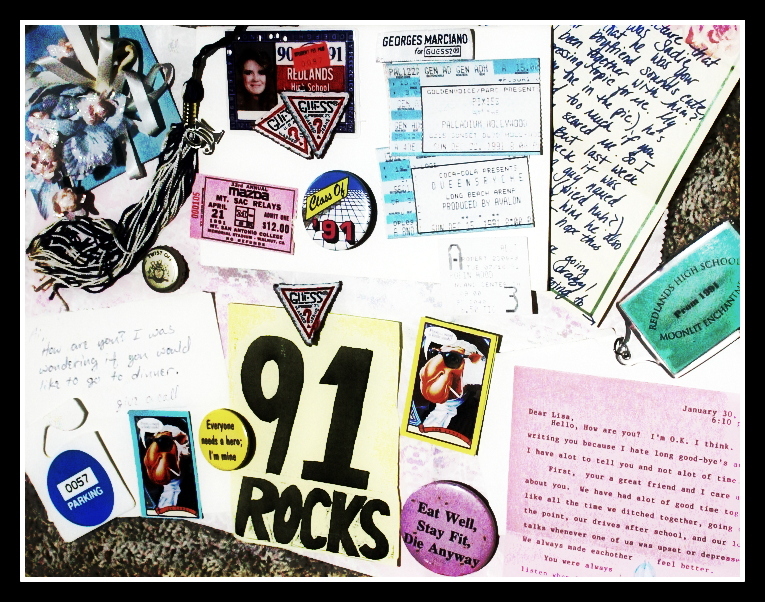 Since the majority of my high school friends were in the class of 1991, I accumulated more ephemera in this year. We saw the Pixies at the Hollywood Palladium, Queensryche at the Long Beach Arena, Rocky Horror Picture Show at the Balboa Theatre in Newport, spent many a night drinking wine coolers on the train tracks at midnight and ditching class to console depressed friends. During the summer, we wrote each other letters on small colored stationery with flowers or other bright motif with matching envelopes. I had this “thing” for southwestern art in teal and coral colored envelopes. I inherited a button collection from my friend Shelly after she graduated and every girl I knew had at least two pairs of Guess jeans in her closet. 39) Happy Birthday, Henry Rollins! 35) 2016 What Will It Mean? • 2008 – Gen-X: The Ignored Generation? • 2014 – Gen-X Men: What The X-Men Have Taught Us About Being Different. • 2014 – Has the Great Recession Wiped Out a Black Generation? • 2014 – I'm 45, Single And Childless. No, There's Nothing 'Wrong' With Me. • 2014 – What Did The 1990s Mean? • 2014 – Where Is Generation X Now That It's In Middle Age? • 2015 – Welcomes Generation X! • 2017 – Diana’s Legacy: A Reshaped Monarchy, a More Emotional U.K.
• 2017 – We thought Gen X was a bunch of slackers. Now they’re the suits.